How does digital technology enhance teaching and learning? What are the enablers for successful digital technology use in school education? What are the implications for education policy, in terms of harnessing the potential of digital technology in schools? The report builds on the 2015 seminal OECD report, which helps to frame the significance of recent changes and the impact of digital technologies on school education. It largely supports the OECD’s (2015) assertion that connections among students, computers and learning are neither simple nor hard-wired; and the real contributions digital technology can make to teaching and learning have yet to be fully realised. However, there are many examples of innovative practice and given the complexity of educational change we need to be realistic about what we can expect from schools as there is no single off-the-shelf solution to harnessing the potential of digital technologies. 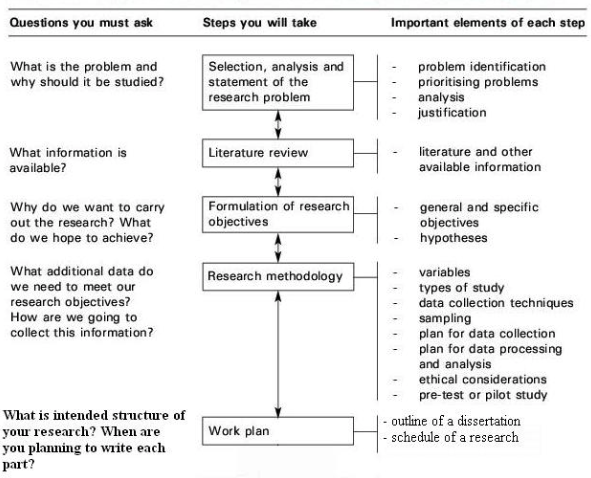 Six strands when woven together help explain the conceptual underpinnings adopted in exploring the questions outlined in the introduction, which are the primary focus of the report (see Figure 1). To summarise these six strands, technologies have the potential to enhance pedagogical approaches but good teaching remains fundamental. New technologies are arising all the time, offering new opportunities for teaching, learning and assessment. Generalisations and finding direct causal effects from the implementation of digital technology remains problematic as learning takes place in a complex ecology. Although technology offers educational institutions a variety of mechanisms to support a myriad of learners, context is crucial to understanding the conditions whereby the affordances of new digital technologies enhance educational outcomes. In a similar vein, institutional and discipline cultures have an impact and need to be taken into account in efforts to understand the conditions for the successful use of digital technology in schools. The report then describes the nature of today’s digital society, arguing that it is complex and dynamic. In this wider societal context, it discusses and critiques the trustworthiness of many taken-for-granted claims around a number of themes: the changing nature of work, the concept of the ‘millennial generation’, the wide spectrum of learning activities, resources and educational offerings, the changing role of teachers and learners, and the potential impact of new and emergent technologies. It argues that there are a number of competing and co-existing mindsets or perspectives influencing the pressure on schools to use new digital technologies. The report argues that the affordances of digital technologies differ according to the technology and the educational contexts in which they are used for teaching and learning. It argues that the use of digital technologies in schools is not a single entity and that today’s educational context is complex and dynamic and digital technologies add to this complexity; i.e. there is a complex ecology of digital technologies in schools. 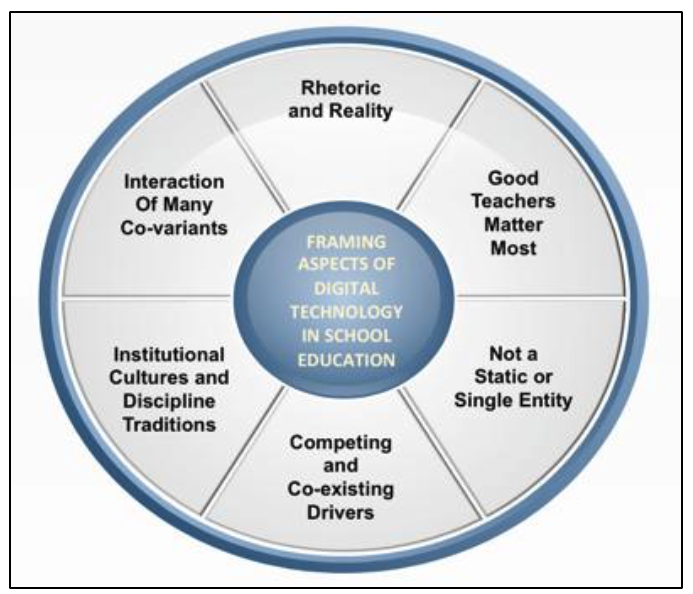 A number of frameworks for effective and innovative pedagogy are described and the report argues there is no single pedagogical or theoretical model in terms of guiding or underlying the successful use of digital technologies in schools. More to the point, the adoption of learning-driven approaches to school education which seek to embed digital technologies at the heart of the curriculum require an intentional combination of pedagogies that respond to a complex inter-play between the particular context, nature of the learners, learning intentions, discipline cultures, and so on. In looking to the future of learning, the report describes a number of new and emergent developments in digital technologies which might be able to help reimagine the curriculum. It argues that, in the future, students will be likely to learn across a range of formal, non-formal and informal contexts, with increasing digital leakage across different places and spaces of learning. Examples of the ways in which digital technologies might provide engaging learning environments are provided, along with some scenarios for the future. Alongside of these examples and scenarios, the perceived advantages and disadvantages of digital technologies in school education are described. The report demonstrates the potential opportunities digital technologies can offer, especially when fully embedded in the classroom, but argues that the field is still dominated by hype, hope and disappointment. A key message throughout the report is that teachers matter most and that the teacher’s role is central in the design, delivery and support of learning interventions. With respect to this, the report argues that key to harnessing the educational potential of digital technologies is the need for, and importance of, Teacher Professional Learning (TPL). Some of the principles of effective TPL are introduced along with the importance of addressing teachers’ mindsets or deep-seated pedagogical beliefs if the goal is to go beyond merely taming new digital technologies based on traditional practices. The main barriers and enablers to the effective use of digital technologies in schools are discussed, in terms of first and second order factors that influence enhanced educational outcomes. The discussion of barriers and enablers illustrates that there is no simple answer to overcoming the reasons why schools and teachers do not fully embrace the educational opportunities made possible by new digital technologies. Arguably, one important lesson is that policy-makers and educational leaders would benefit from more explicitly framing discussions about the potential of digital technology for real problems faced by teachers , rather than falling into the trap of promoting digital solutions in search of problems. Slides for the presentation are available on Speakerdeck. I have been reading and examining a lot of PhDs recently (4 in as many weeks!) and this has got me to reflect on some principles of good practice. Doing a PhD is a significant undertaking and dominates the person’s life for a number of years, so it is important that this adventure isn’t taken lightly. Chosen a good supervisor is vital, their role is to guide you and keep you on track, it’s all too easy to go down blind alleys, it is important to remain focused on your core research questions. At times you will be daunted by the scale of the mountain ahead of you but don’t give up! People are productive at different times of the day, some like working in the morning, others at night, reflect on what your preference is. Therefore at points in the day you will be more productive, use this time to focus on your data analysis or writing of chapters, at other times you will be less productive, focus on routine tasks such as ensuring references are in the correct format. 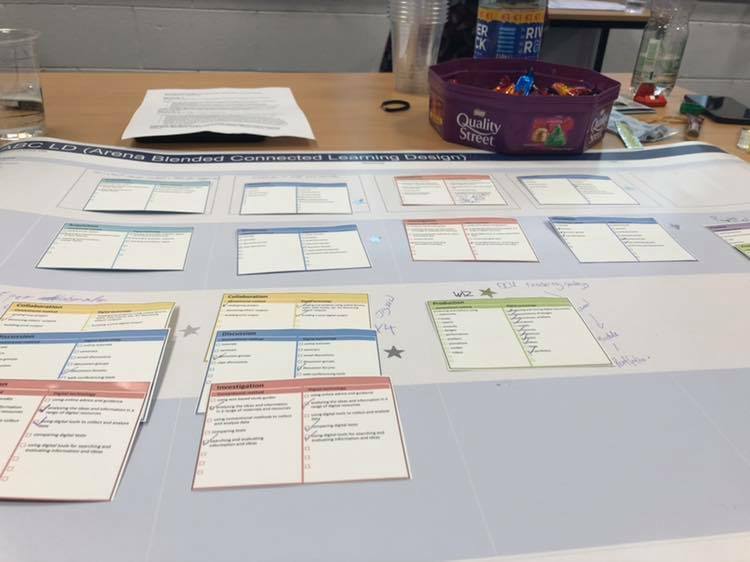 Mark Glynn (who heads up our Teaching Enhancement Unit) and colleagues are involved in an Eramis+ project, ABC Learning Design. Last Thursday I attended one of the project’s workshops. 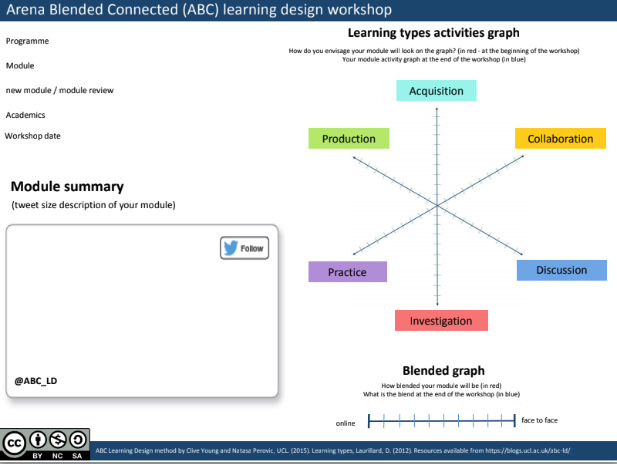 I was aware of the ABC work and have recently written something about it for a chapter in Helen Beetham and Rhona Sharpes 3rd Edition of Rethinking pedagogy for a digital age, along with a number of other Learning Design frameworks. The workshop was run by Clive Young and Natasa Perovic from University College London. ABC is designed to be a ‘light touch’ approach to design. The workshop was two hours, consisting of a half hour introduction followed by 90 minutes of activities. The aim was to create a visual storyboard, made of a sequence of learning activities. The learning activities are based on the taxonomy developed by Diana Laurillard as part of her well known Conversational Framework. Acquisition: Learning through acquisition is what learners are doing when they are listening to a lecture or podcast, reading from books or websites or watching demos or videos. Collaboration: Learning through collaboration embraces mainly discussion, practice and production. Building on investigations and acquisition it is about taking part in the process of knowledge building. Discussion: Learning through discussion requires the learner to articulate their ideas and questions, and to challenge and respond to the ideas and questions from the teacher, and/or their peers. Investigation: Learning through investigation guides the learner to explore, compare and critique the texts, documents and resources that reflect the concepts and ideas being taught. Practice: Learning through practice enables the learner to adapt their actions to the task goal and use the feedback to improve their next action. Feedback may come from self-reflection, from peers, from the teacher, or from the activity itself, if it shows them how to improve the result of their action in relation to the goal. Production: Learning through production is the way the teacher motivates the learner to consolidate what they have learned by articulating their current conceptual understanding and how they used it in practice. Then we indicated to what extent the course was face-to-face or online. Next we added the various learning activity postcards to the timeline of the course. On the back of each of the six types of learning activities are examples of how these can be realized either through conventional activities or online activities. We ticked which of these we thought were appropriate. Then we used silver and gold stars to indicate which activities were formative or summative. Finally we returned to the graph drawn at the beginning and re-drew in relation to our chosen activities. I was amazed at how much we managed to achieve in 90 minutes. As a team we had an excellent discussion and it was interesting to hear the other team’s thoughts on their design process. I particularly liked the ‘tweet’ of the module as it really gets you to think about what the essence of the course is. An excellent set of resources associated with the project are available online, well worth a look. You are currently browsing the e4innovation weblog archives for November, 2018.